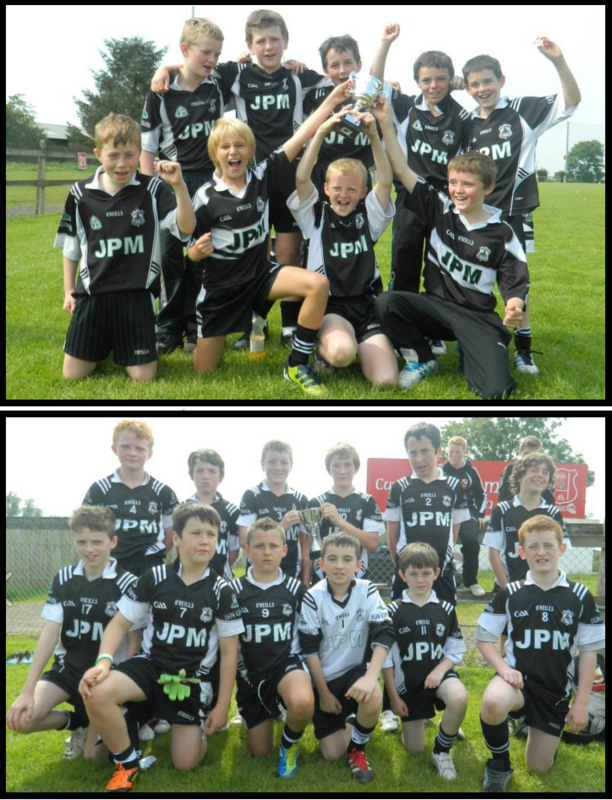 Our U10 & U12 teams took part in a terrific competition hosted by our neighbours Drumsurn on Saturday 11th August. Competing against teams from Drumsurn, Tir na nOg (Antrim) and Milford (Donegal), both our teams combined some fabulous football with lots of really hard work to record wins in all their group games, their semi-final and final to bring home the winner’s cups in both their sections – a great achievement. Well done to all the players and coaches, and a big thank you to Drumsurn for extending an invite to us.